By request, here's one of the rare, recent pictures I have of me! 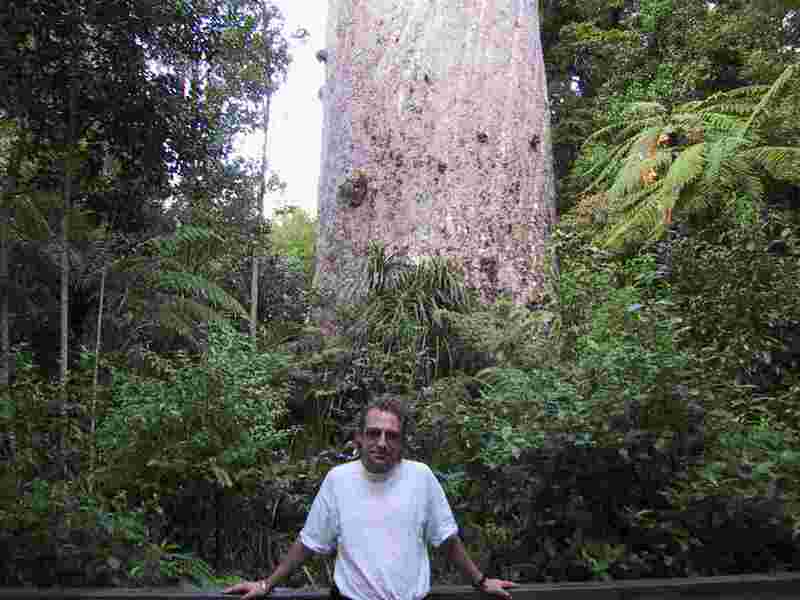 Here I am stood a way in front of Tane Mahuta ('God of the Forest'), in Waipoua forest. It's the largest living Kauri tree in New Zealand - an incredible 13.8 metres in girth, standing 51½ metres high - it really is quite breathtakingly awesome and humbling to behold. There's more about it on the page about Waipoua forest.